Three months into the year and I am making progress on finding things to celebrate every month! I’ve been trying to avoid long stretches of staying in, and also the “boom and bust” cycle of making up for it by going out too much. 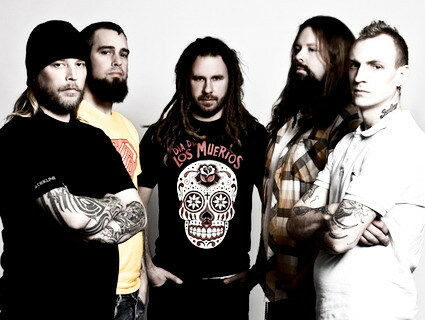 In Flames. One of many line-ups since 1990. Rom and I had tickets for two very different music events this month – a metal show and a symphony (there is such a thing as symphonic metal, of course…) We went to see In Flames, one of the original Gothenburg (Sweden) metal bands. I know you all listen to melodic death metal, too! Later in the month we went to the symphony for some of Bach’s Brandenburg Concertos and some Vivaldi. I am not knowledgeable at all about classical music but I like baroque. My movie viewing was limited to two. Life of Pi had returned to take advantage of its Academy Award nominations, so we got to see it at the theatre in 3D. I had read the book a few years ago and I was very impressed by the film adaptation. It kept me at the edge of my seat from beginning to end. It was both intense and uplifting, and I highly recommend it. I watched Killer of Sheep on DVD. This was a movie that was critically acclaimed at film festivals in the 70s but never had a general release. It was a part-docudrama, part-surrealist look at a Black neighbourhood in Watts (Los Angeles) in the mid-70s. I could really relate to this movie because of the way it depicted family and neighbourhood life in the 70s. As watched it, I recalled so many things from my childhood, like the way people used to work on cars, how they would drop in at each other’s homes, how people would borrow a few bucks from each other, and how kids would play on the railroad tracks. (The movie got its name from a character, Stan, who works in a slaughterhouse). 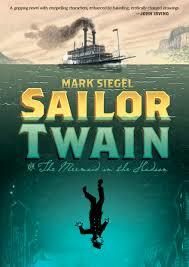 A substantial novel with a strong plot, Sailor Twain centres on the fate of several men in the Hudson River shipping industry who are lured by a siren’s song. Literally. As a science-and-reason-based person, I loved this one. 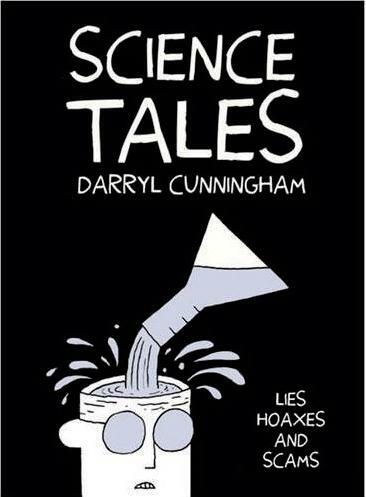 It was like a graphic novel version of Ben Goldacres’s book Bad Science. I can’t believe how well and how succinctly the author was able to explain things like homeopathy and vaccines! Mary Talbot’s father was a Joycean scholar and went back and forth between being a tyrant and being remote with his daughter, who grew up among a pack of brothers. 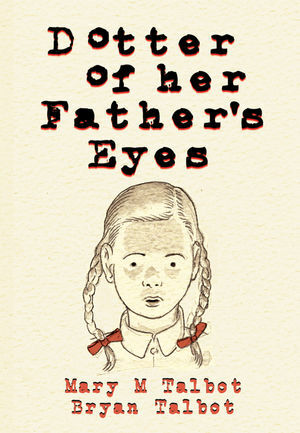 The tale of her growing up is inter-cut with the story of James Joyce’s own daughter, Lucia. Bryan Talbot is an established comics artist and he collaborated on this book with his spouse. 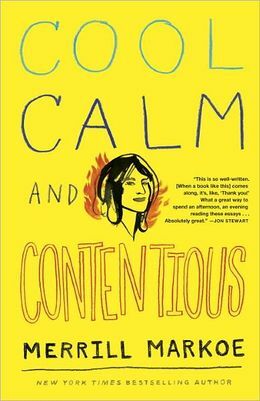 A great book to open up discussion on father/daughter relationships. 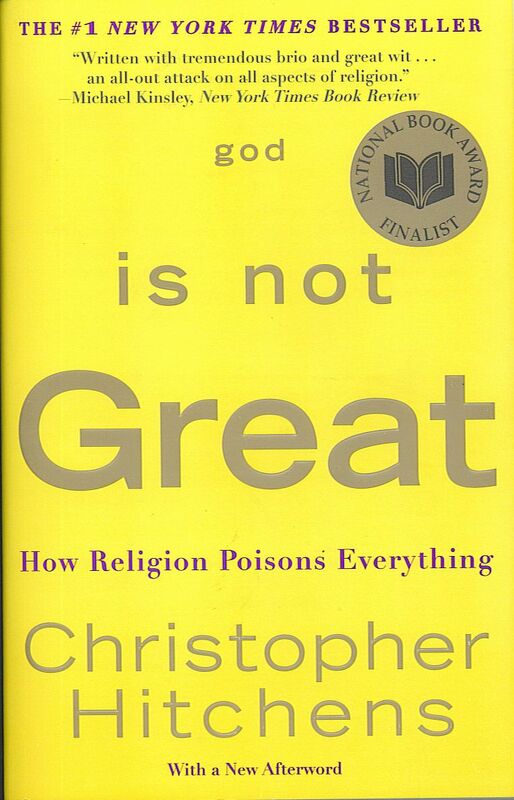 I had read The God Delusion by Richard Dawkins so I wanted to see if this one was like it or different. Mr. Dawkins’ book was primarily based on science, especially biology, while Mr. Hitchens’ book was more from a social sciences perspective. I can see how, after all his years in international journalism and especially war reporting, that his world view would be irretrievably impacted. I don’t read inflammatory books on both sides of every major issue, but this is one I like to be conversant about. 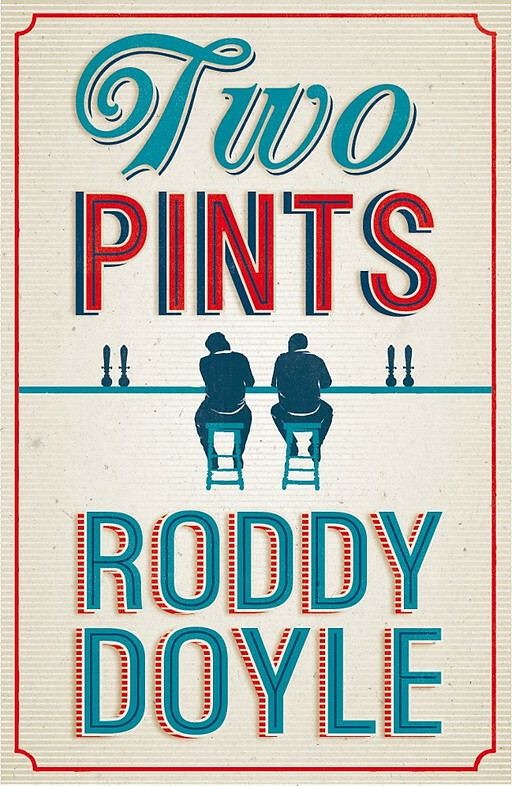 This is a book a humourous essays by someone who is known mainly as a screenwriter. Despite living for most of her life in California, she comes across like a native New Yorker – her voice reminds me of Fran Lebowitz. This was perfect light reading because, of course, every chapter is an essay that is complete in itself. Her topics include mature adult dating, attending Berkeley in the 60s, and her life with a house full of dogs! I loved this book! The author spent two years documenting his attempts to be as healthy as possible through changes in diet, exercise, stress reduction and research. Since he is an established author, he got a big advance, and used it to consult personally with dozens of experts in both traditional and alternative medicine. The book was funny because of all the techniques he tried, the things he tracked, and his family’s reactions. Highly recommended! Three other good things happened in March. I had been shopping for jeans after getting a high-tech sizing done by a Me-Ality machine. I was looking for a pair of dark-wash jeans I could wear to work, and found these at Banana Republic, and at half-price 🙂 I like them because they fit like “dress pants” and don’t bear much resemblance to actual jeans. Of course, I will need casual jeans next, and might give in and buy some before my next vacation. 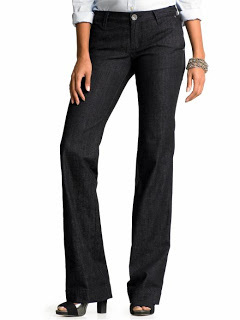 I have my eye on some Suki jeans by Silver (which you get from Bootlegger). 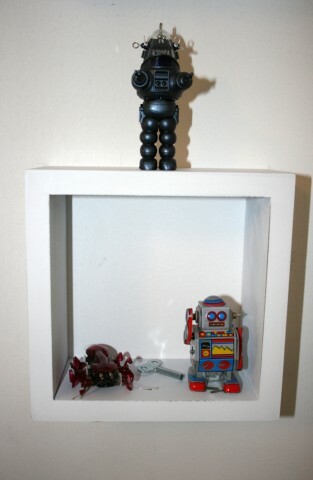 Next, I spent most of the long weekend playing with toys inventorying my toy collections, which I enjoyed greatly! I was pretty happy with March. By the end of the month (just barely), I was able to get out for a few walks. I hate the time change, which began on March 10, because I am an early riser and the last thing I want is more darkness in the morning. But that is slowly righting itself. 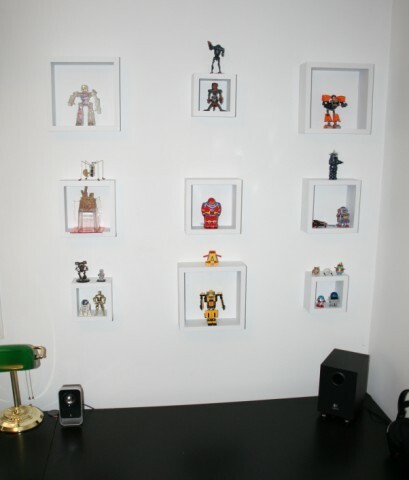 Love the little niches for your robots – nice work! 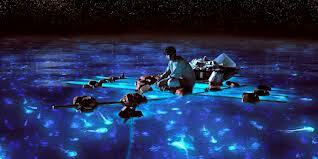 I wasn’t that impressed with Life of Pi, but I was thinking about how my bf and his flatmate were finding it. It just seemed to drag out for me. 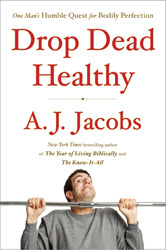 Some books I might add to my list there – the God is not Great and Drop Dead Healthy, and perhaps even Science Tales. And I love Banana Republic – spend a fair bit of time in their stores whenever I’m stateside! If you think the Life of Pi movie dragged, you should have (not) read the book – the “drifting at sea” part went on forever! I have only been to our local Banana Republic twice – I thought of it as a store where the clothes would not fit me, and was happy to be wrong. Interestingly I didn’t find that the book dragged – maybe it’s just expectations and settings! I read the book in very boring times in my life! I think I could get into any book that you can say “but there are aliens” about.. I’m intrigued already. The aliens tie in with the theme, too! 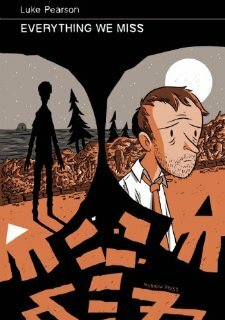 A book about a couple’s break up that includes aliens? That sounds like my kind of book. 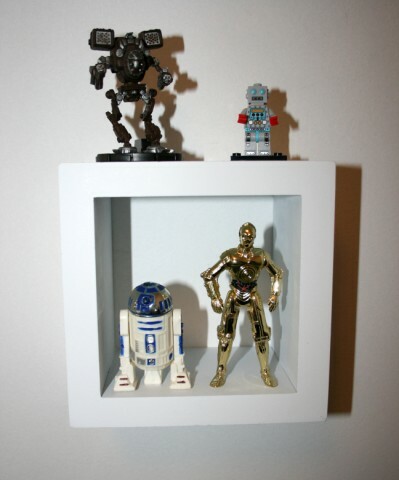 I love how you and Rom have such a wide range of interests. You really do live a full life, one that could be a great model of how to live. As for the memories of growing up, I have the same type of memories. I know everyone says the miss the olden days but I really do miss some things mainly the relationships we formed with our neighbors and how people actually went visiting as a family. Thanks! Of course I didn’t appreciate my interconnected neighbourhood when I was young; I thought everybody was up in everybody else’s business, LOL! But the “going visiting” thing is ripe for a comeback, don’t you think? I like the idea of visiting people in their homes and not meeting up at a restaurant or a bar. LOL yes, it seemed as if you were in trouble for every little infraction because everyone knew every one else. Now though it would be nice if the youth knew people were watching, I think crime would go down slightly. I do think it’s time for “going visiting” to make a comeback as I miss it. Our lives seemed so full. There was bowling night with friends of course, but then again there was Friday night card games which was a blast. I loved the company of the children while our parents played cards in the kitchen. I think today how we saved so much more money as a result of those visits rather than meeting up in a public place. True, and nobody was concerned if their house was perfectly clean or if they had deluxe snacks, either. Wait, my grand parents always wanted their home clean just in case someone dropped by. But no they didn’t care if they had everything everyone else had or the best items, they just kept everything in good working order. Let me know what you think if you read them! Much to celebrate! After 16 years of working in the music industry, I still haven’t been able to re-claim concert going as a leisure activity. It still brings up “work vibes” for me. I’ve never heard of either of those films, but I may have to check them out. The books sound good too, but alas, I’m too lazy to read! I love how you do these posts…very refreshing to have “celebration” as a monthly goal. I definitely find that ‘celebration’ goals slip away sometimes, probably because I’m not prioritising the right areas – food for thought. It is great to see “life well-lived”! Thanks, Fiona, I actually spend a lot of time at work, on errands, chores, etc. so I do put a high priority on entertainment!